Safe energy and power your home with solar modules, charge your electric car! 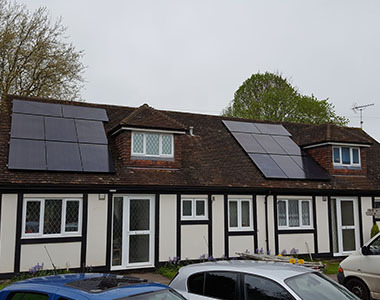 This system could be installed as part of a new or fitted to an existing solar PV system. TRITEC ENERGY is a fully approved MCS/NICEIC installer and offer the BEST Comprehensive Consumer Protection with HIES. Call HIES on tel: 0800 505 3412 or email them on: info@hiesscheme.org.uk to confirm! Reduce your electricty bills, generate green reneable energy, be independent of your electricity provider, heat your warm water with solar, charge your electric car or store surplus energy in a battery storage system to use at night. Our company makes alternative energy available for every client, domestic, business, commercial and industry. 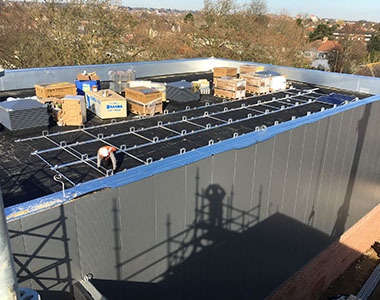 Installation of roof & ground mount domestic and commercial solar PV and battery storage systems. FREE layout and design of any solar system with wind, snow and ballast calculations. We offer existing large scale solar and wind farms in the EU for sale. 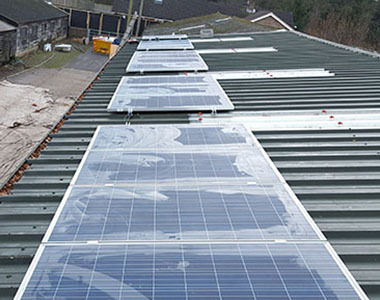 We will replace any existing module and inverter or faulty mounting system. We supply only original solar components with full warranty and installation guides. Shipping of any products to any domestic or commercial address in the UK. 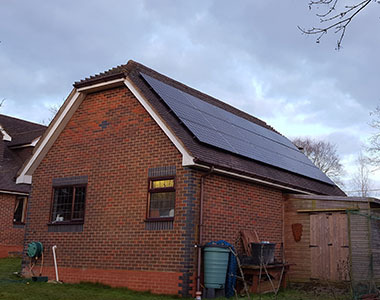 3.9kW in Pulborough, West Sussex - 15x 260W BenQ poly silver frame, KACO 3.7kW inverter with WIFI monitoring, Tritec/Renusol trapezoidal mounting system. 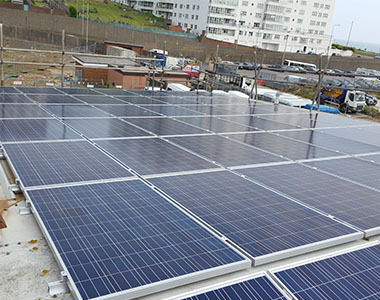 21.84kW in Brighton, Big Lemon, East Sussex - 84x 260W BenQ poly silver frame, Growatt 20kW inverter with WIFI monitoring, Tritec/Renusol trapezoidal mounting system. 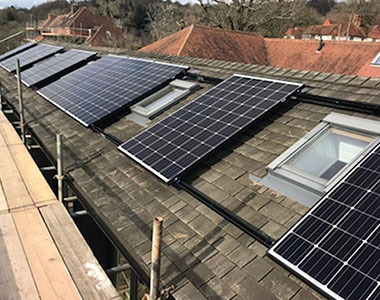 51.5kW in Beckenham, London - 250W HAREON Solar silver frame, 3x Growatt inverter with WIFI monitoring, Tritec/PMT flat roof mounting system. I saved a lot of energy since my panels was installed. High-quality, good price and pure satisfaction. Pylontech/SOFAR 9.6kW battery system, one of the best performing battery storage system together with my Solaredge and 300W Ja-Solar. The battery storage system combined with Solaredge saved a lot of energy since installation and we hardly send any energy back to the grid. If you have a business, you can spend less on the energy consumption. It is the best alternative power provider. Look how you can upgrade your castle into the XXI century. BUNSEN AIR - THERMODYNAMIC HEAT PUMP WHAT IS THIS? DO YOU HAVE A BATTERY STORAGE SYSTEM INSTALLED AND THE IBOOST DOES NOT WORK? Unit 44, Vinery Industrial Estate, Arundel RD, Arundel, BN18 9PY, West Sussex, UK.